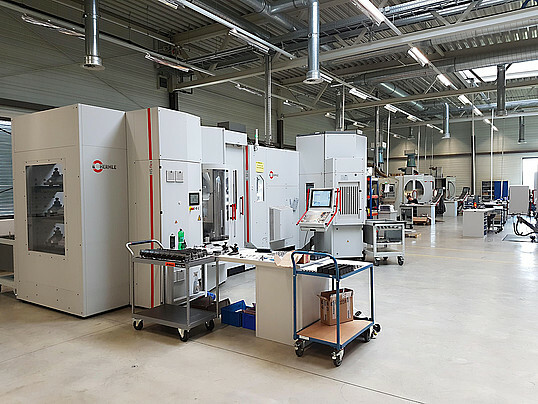 Anton Paar ShapeTec in Wunschuh near Graz (Austria) is currently in high demand for contract manufacturing of high-precision metal parts. So it was apparent to expand the machinery and production capacities. Recently, a 5-axis milling machine and a turn-mill center went into service. Another new turn-mill center has been in operation since early summer. "It usually takes several weeks for a machine of this size to be set up and to work smoothly. We have produced the first precision parts after just a few days," says Josef Hofstätter, production manager for mechanical processing, full of pride in his team, "without their commitment and good preparation this would not be possible." The new machines are a Hermle 5-axis milling center with the Star Wars sounding name "C32U" and two milling spindle lathes of the type Index G220. The milling center is equipped with a pallet changer for 24 machine pallets. Small bench vises are mounted on these, into which the metal blanks are clamped. The milling machine automatically picks up a pallet with the metal blank, processes it and returns the finished product. "This is a cost-effective introduction to automation, and our goal is to use this system to manufacture the most demanding components and to operate the machine overnight without employees," explains milling specialist and team leader Christoph Speiser. 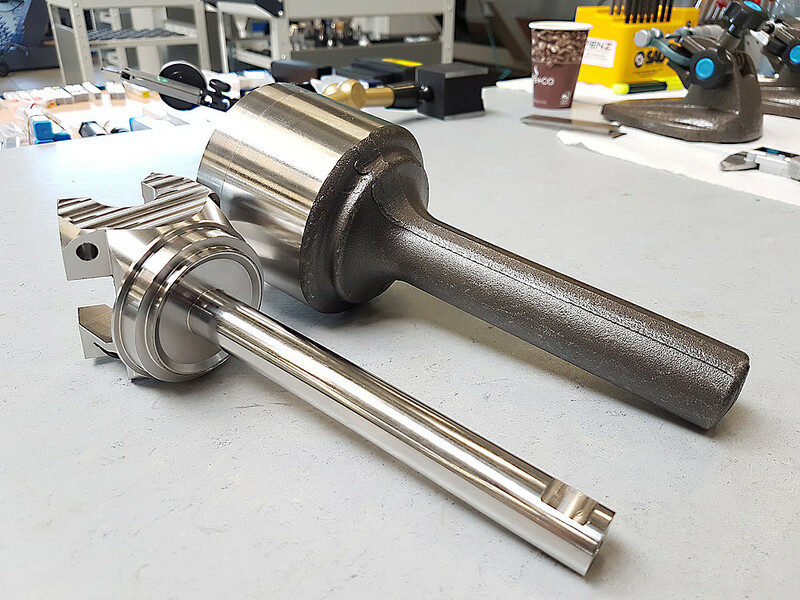 There is room for up to 230 tools in the milling center to produce an exceptional object from a metal block; for example, a part of a prosthesis made of titanium alloy. "Our component tolerances are around 14 micrometers. A human hair in comparison is 40 to 60 micrometers thin." The new Index G220 accommodates "only" 74 tools, but this milling spindle lathe can turn and mill. It is used by machining technicians at Anton Paar ShapeTec to produce highly accurate rotationally symmetrical parts that require additional milling work. All starting materials are metal rods or bars. With the help of the bar loader, this machine can also produce automatically. Anton Paar ShapeTec produces more or less everything that can be manufactured with metal processing. "We create simple and complex components in large and small quantities," explains Johannes Bernsteiner, managing director of Anton Paar ShapeTec. The most sophisticated parts are currently machined for the aerospace, medical, and metrology industries. Turning at Anton Paar ShapeTec: From a workpiece (right) to a precision part.